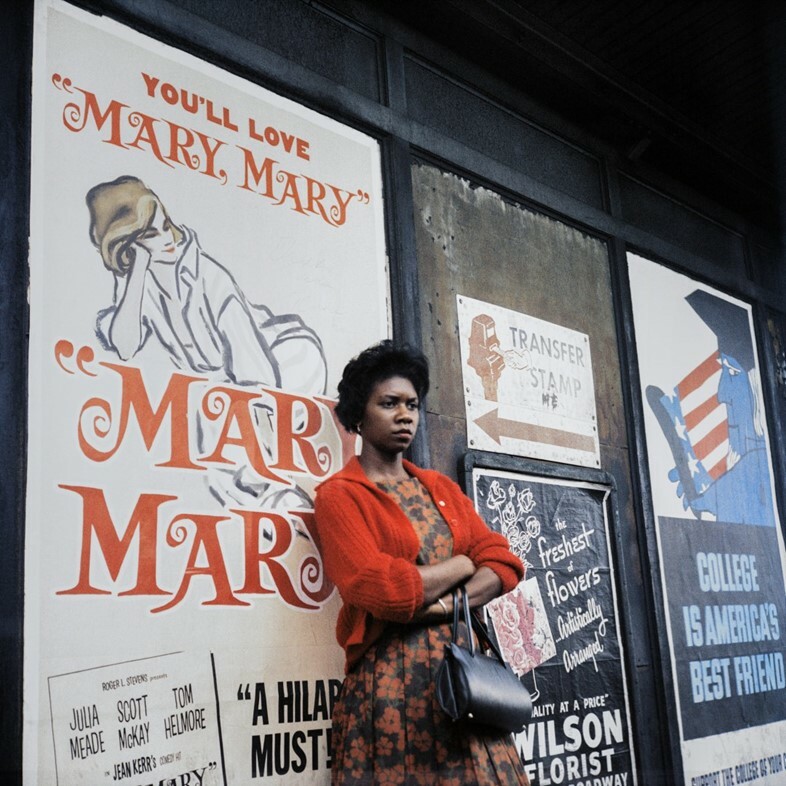 Vivian Maier is an enigma of the art world. Born in 1926, she took thousands of photographs, with many negatives undeveloped, before she was ‘found’. It wasn’t until 2007 that her work was discovered, after she fell on hard times financially and her storage unit was auctioned off for a small price. In 2009, she passed away, the same year her work began to circulate online from its buyers. A year later, her images began to show in galleries and museums, and in 2013, her life was chronicled in the documentary, Finding Vivian Maier. She has since become known as one of the greatest luminaries of the photography world – and yet, her story continues to unravel. While Maier is famed for her black and white square format works, recently, her colour photographs have been uncovered.